Welcome to Ashton Oaks, a gated neighborhood of custom homes located in The Palisades Golf Community. 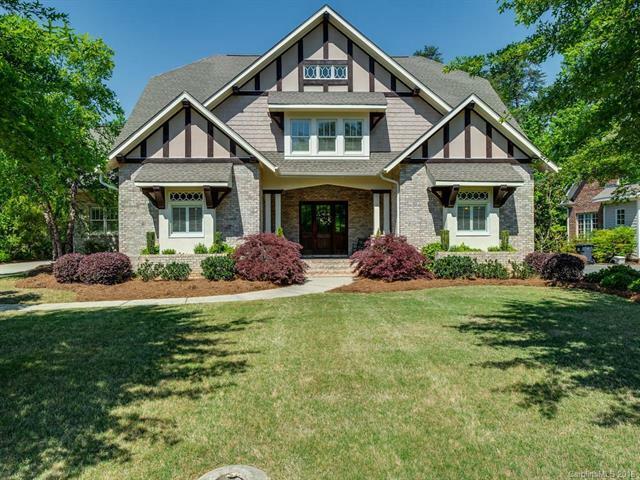 This craftsman style home has all of the upgrades to make your new home unique and luxurious. The open floor plan has coffered ceilings and beautiful statement fireplace in the great room which is open to the kitchen and outdoor patio for friends and family gatherings. The kitchen has been renovated and updated. Home has been painted inside and out for a fresh new feel. Master suite is located on the main floor. All bedrooms have private bathrooms. Window treatments include shutters and hardwood floors on the main. Attic has had 'Super Attic' insulation for heating and cooling efficiency. 2 new HVAC units installed 2017. HOA dues include new pool, fitness center, clubhouse, basketball, pickleball, walking trails and playground. Golf and tennis memberships are available. Equestrian Center located in The Palisades community. Lake Wylie nearby. A custom home that is move-in ready!